Garebian, Keith and Urjo Kareda. "Tarragon Theatre". The Canadian Encyclopedia, 19 March 2018, Historica Canada. https://www.thecanadianencyclopedia.ca/en/article/tarragon-theatre. Accessed 25 April 2019. 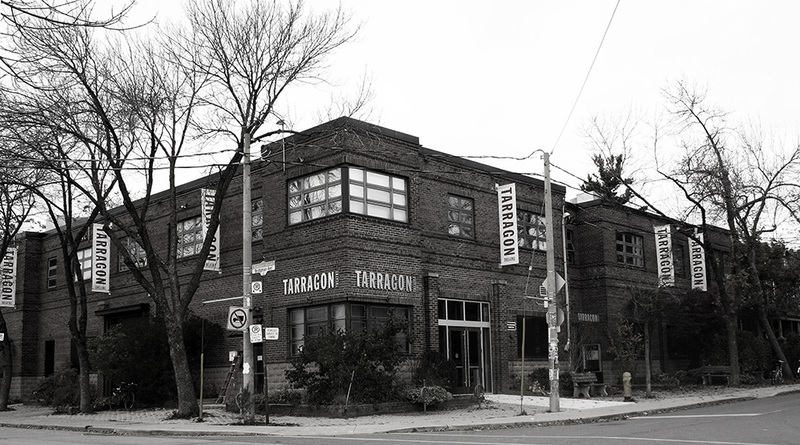 Tarragon Theatre, founded in Toronto, incorporated as a non-profit organization 22 April 1970. 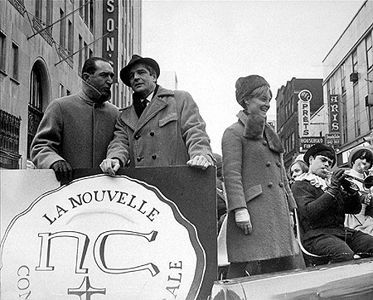 It was founded by Bill GLASSCO and Jane Gordon as a showcase for new Canadian plays interpreted by Canadian theatre artists. Tarragon Theatre, founded in Toronto, incorporated as a non-profit organization 22 April 1970. It was founded by Bill GLASSCO and Jane Gordon as a showcase for new Canadian plays interpreted by Canadian theatre artists. Where other alternative theatres - such as THEATRE PASSE MURAILLE and FACTORY THEATRE - were advancing new works connected to social and aesthetic experiments, Bill Glassco (a former university professor with an impressive academic background) sought to find new plays to which he could give the best possible productions so that a new audience could also be found and nurtured. He and his wife, Jane, began the theatre as a family operation in a vacant warehouse at 30 Bridgman Avenue, naming it for Bill's favourite herb. As Bill Glassco explained a few weeks before the theatre opened, Tarragon's mandate was to find "both a meaningful context to work in and a meaningful way to work." It was essential, he believed, for Canada and its theatres to produce Canadian plays rather than fall back on classics or recent West End or Broadway successes. However, he did not believe in producing Canadian plays merely out of a sense of duty or to please grant-giving organizations. Quality was to be the important factor. It cost Tarragon roughly $9000 to renovate the warehouse and to open David Freeman's Creeps. Critical and audience response was so enthusiastic that it made the other plays in the first season seem inferior. In fact, the Glasscos were prepared to close the theatre if Leaving Home by David FRENCH did not succeed in 1972. However, their pessimism proved unwarranted. Leaving Home received excellent notices, and Tarragon took the next important steps in expanding the Canadian play repertory and sending these works out to other regional theatres. Michel TREMBLAY received his first production in English at Tarragon when Forever Yours , Marie-Lou opened in 1972 (the same year Mallory GILBERT was appointed theatre manager), and James REANEY created a sensation with Sticks and Stones the next year. Other notable plays during the Glassco regime included: Of the Fields Lately, and Jitters (David French); Hosanna, Bonjour, là, Bonjour, Damnée Manon, Sacreé Sandra,The Impromptu of Outremont and Saint Carmen of the Main (Michel Tremblay); the Donnelly trilogy (James Reaney); One Night Stand (Carol Bolt); Waiting for the Parade (John MURRELL); Blood Relations (Sharon POLLOCK); The Saga of the Wet Hens (Jovette Marchessault); and Mother Country (Margaret HOLLINGSWORTH). Glassco added international plays to Tarragon seasons, but his primary interest remained in Canadian work. In 1978 Mallory Gilbert became general manager, a position she held with great distinction for more than 20 years. In 1980 Tarragon opened the Maggie Bassett Studio (now known as the Tarragon Studio) as an additional space for professional training classes, workshops and rehearsals; in 1983 the Extra Space - a second performing facility, seating 100 - was added to the complex. Glassco took a much-needed sabbatical from his position as artistic director in 1975 - at which time Tarragon invited theatres from across Canada to perform rent-free - and then in 1982, wishing to move to a larger company (CentreStage), he stepped aside, appointing Urjo KAREDA (former theatre critic at the Toronto Star, literary manager of the STRATFORD FESTIVAL and director of script development for CBC radio drama) as his successor. As critic, Urjo Kareda was excited by the explosion of theatre activity in Toronto during the 1970s, and soon became known as a passionate supporter of new voices. He differed from Glassco in the sense that he was more the dramaturge than director, and played a decisive part in the development of dozens of scripts each year. He was instrumental in the progress of such playwrights as Joanna McClelland GLASS (an exponent of the memory play), Judith THOMPSON (who occasionally expands urban realism into something approaching the surreal), George F. WALKER (expert at wry, comic urban angst and violence), Joan MACLEOD (known for poetic monologues), Morris PANYCH (versatile and always interesting), Guillermo VERDECCHIA (expert at political theatre in a postmodern way), Jason SHERMAN (of sharp satiric force) and Carole FRÉCHETTE (celebrated for her lyrical, poetic drama). Kareda also brought to the fore the talents of Diane Flacks, Ken Garnhum, Morwyn Brebner, Richard Greenblatt, Kristen Thompson and a host of others. Under Kareda's tenure, Tarragon started an annual Spring Arts Fair (curated by Andy McKim), a free weekend festival of works-in-progress that draws 2000 patrons each year. Among many projects seeded in the fair, Ted Dykstra and Richard Greenblatt's 2 Pianos, 4 Hands began as a 30-minute sketch and was then developed through workshops into a full-length production; it in turn played 2 sold-out runs at Tarragon, did 2 separate year-long cross-Canada tours and had extended runs in New York, Washington, Montréal (translated into French), Birmingham and London, England. Other Tarragon productions have toured at the Edinburgh Festival and Glasgow Mayfest, and to Montréal's Festival des Amériques, and in the United Kingdom (Birmingham and London) and theatres across Canada. Andy McKim was appointed associate artistic director and remained so for more than 20 years. Works premiered at Tarragon (and subsequently presented elsewhere) include plays by Carol BOLT (One Night Stand), Mavis GALLANT (What Is to Be Done? ), Don Hannah (The Wedding Script, Fathers and Sons) and the first productions in English by Québec playwrights René-Daniel DUBOIS (Being at Home with Claude) and Serge Boucher (Motel Hélène). The late 1980s and 1990s featured new plays by Joan MacLeod (Toronto, Mississippi, Amigo's Blue Guitar, The Hope Slide, 2000); Guillermo Verdecchia (Fronteras Americanas and, with Marcus Youssef, A Line in the Sand); John Murrell (October, Democracy, The Faraway Nearby); Jason Sherman (Three in the Back, Two in the Head, The Retreat, Patience, It's All True) and Morris Panych (The Ends of the Earth, Vigil, Lawrence & Holloman). The repertoire was also expanded to include performance art (Ken Garnhum's Buoys, Beuys, Boys, Surrounded by Water, Pants on Fire, one word) and chamber opera (Nic Gotham and Ann-Marie MACDONALD's Nigredo Hotel). After Kareda's death in 2001, Richard Rose, who had run the Necessary Angel Company, was appointed the new artistic director in 2002, the same year that the surrounding community adopted the name "Tarragon Village." Rose continues Tarragon's long history of adding to the country's repertoire of plays by promoting the work of Tarragon favourites Morwyn Brebner, Morris Panych, Michel Tremblay, Diane Flacks, Richard Greenblatt and Daniel MACIVOR while also gambling on the plays of Charlotte Jones, Michael Redhill, Rosa Laborde, Hannah Moscovitch and Wajdi MOUAWAD, whose Scorched in 2007 was directed by Rose. Tarragon has premiered more than 175 Canadian plays, and although there is still a preponderance of realism, Rose has ventured into expressionism far more than any of his predecessors. Andy McKim, Snappy Shorts at Tarragon Theatre (2005).